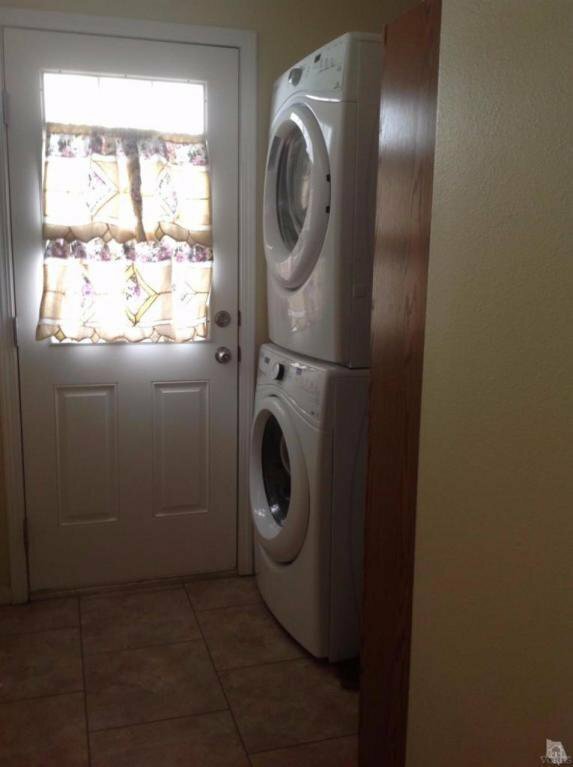 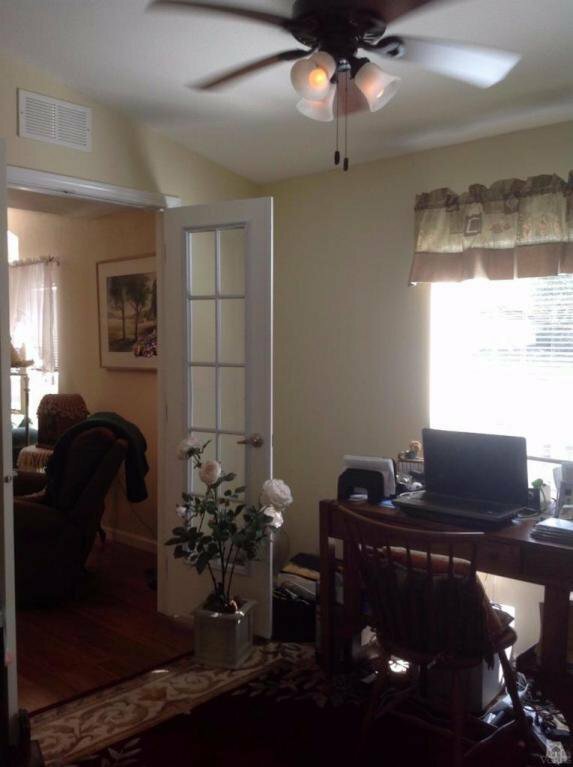 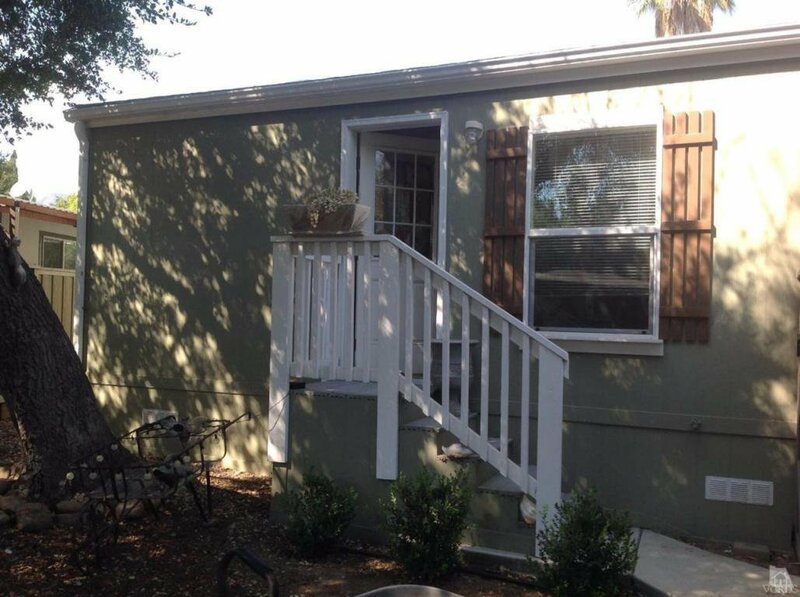 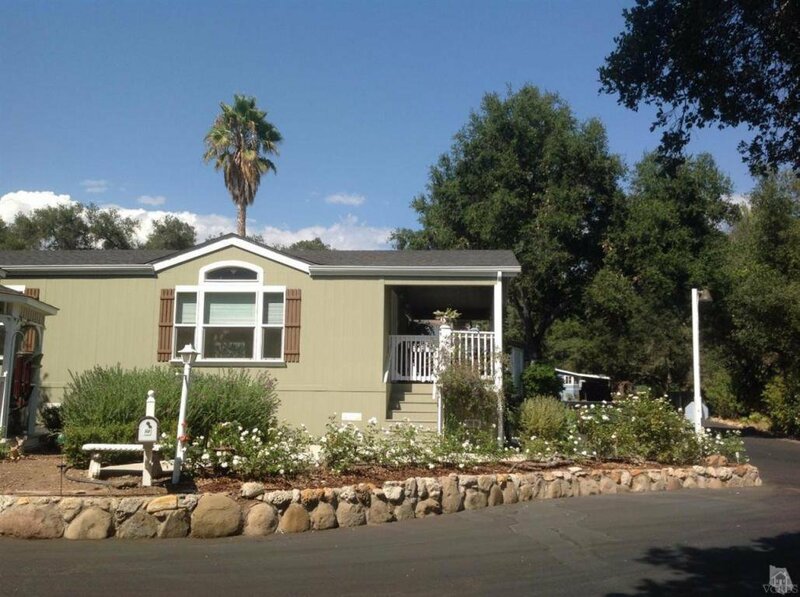 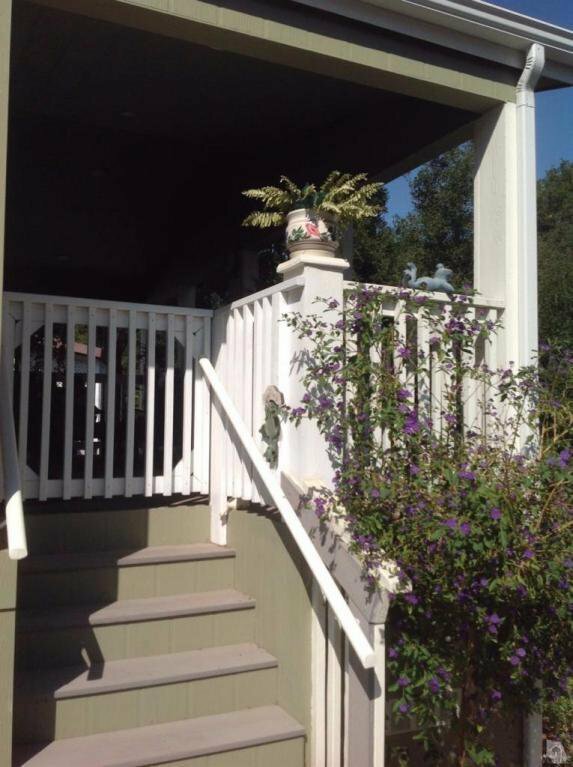 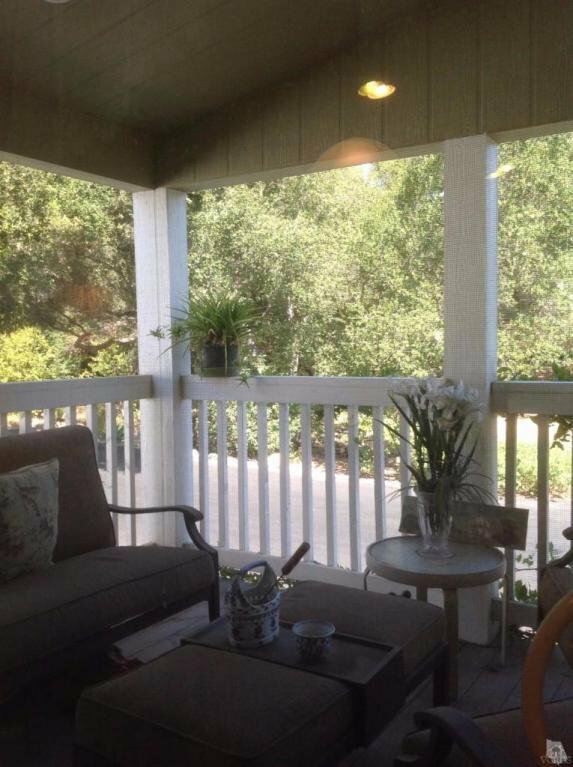 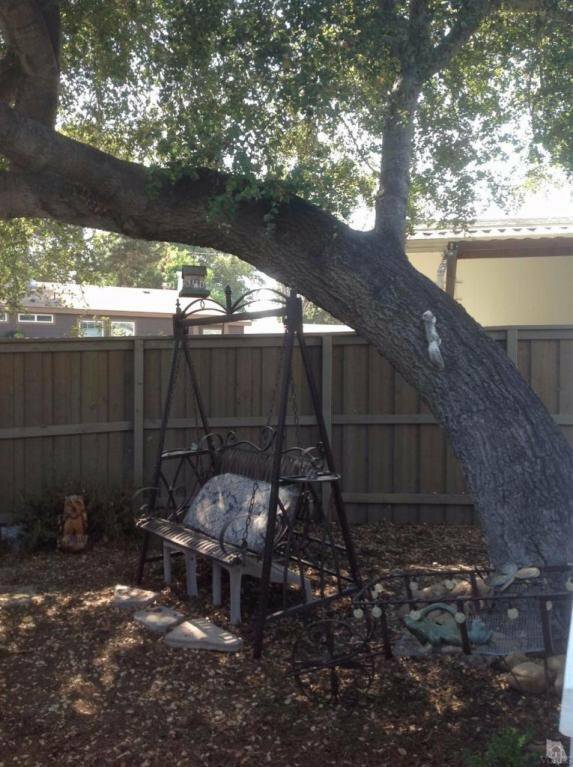 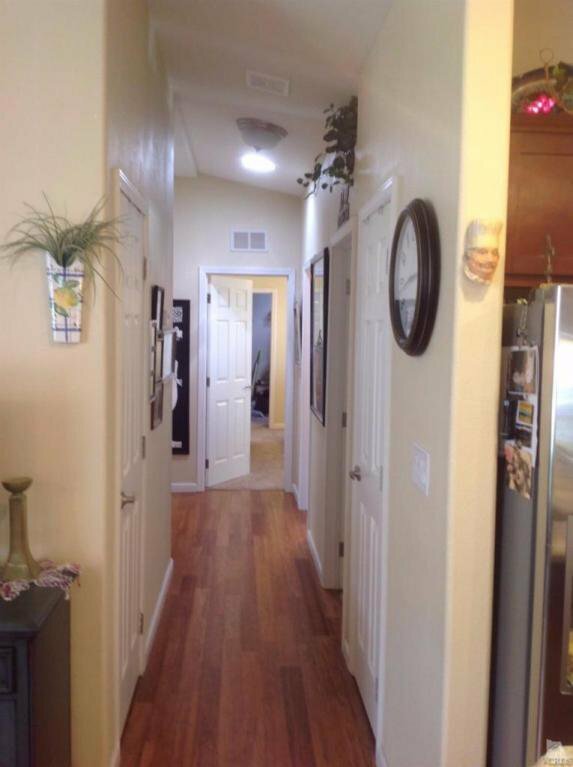 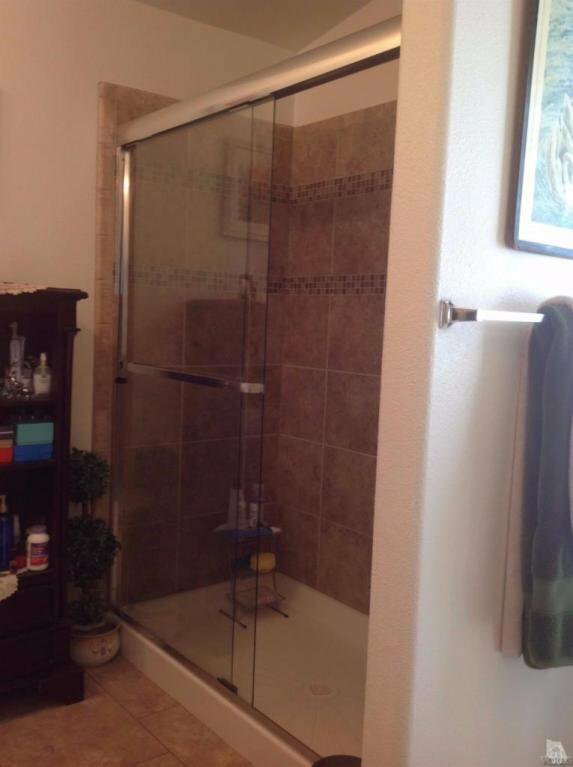 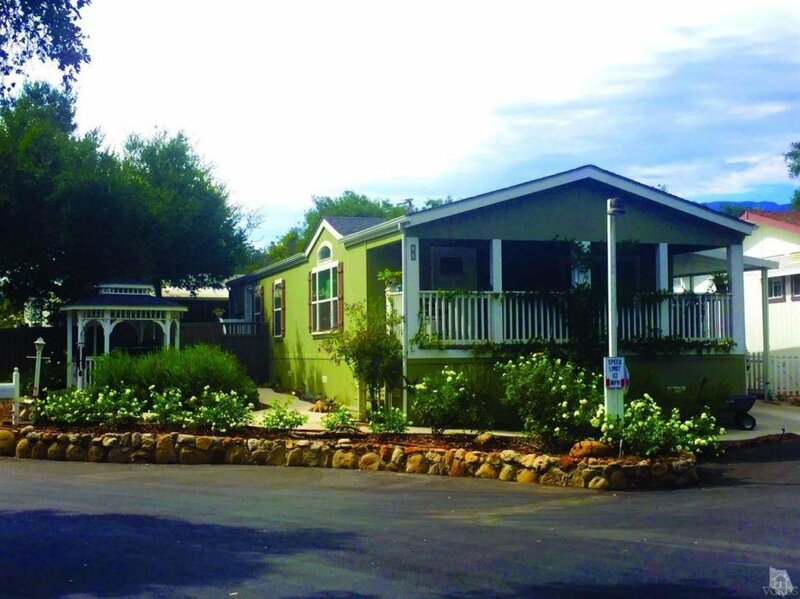 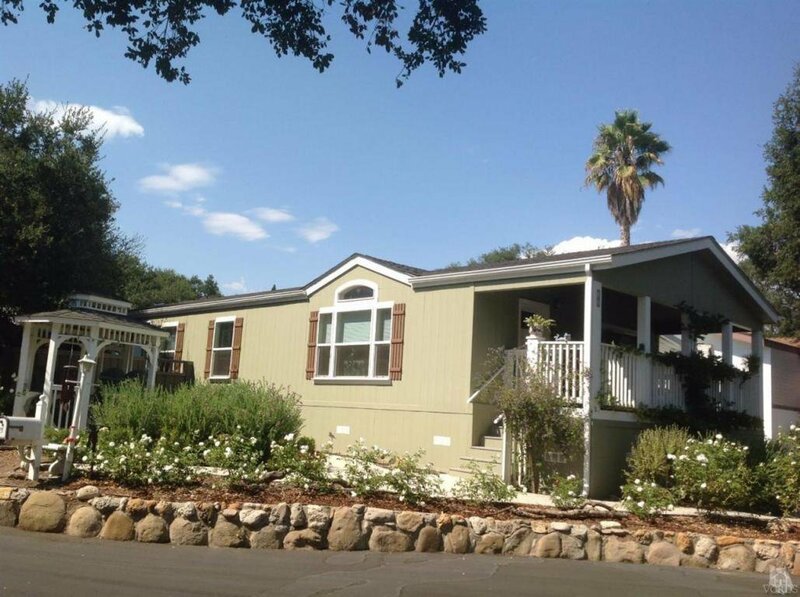 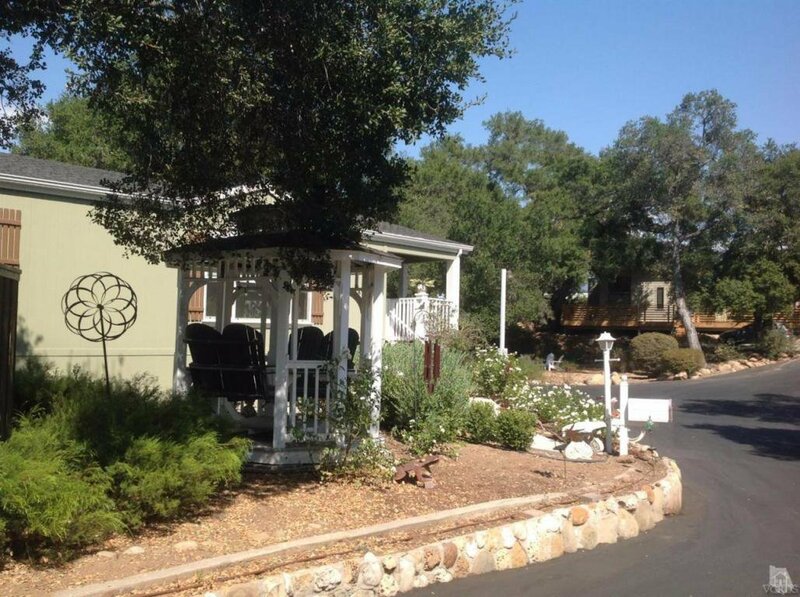 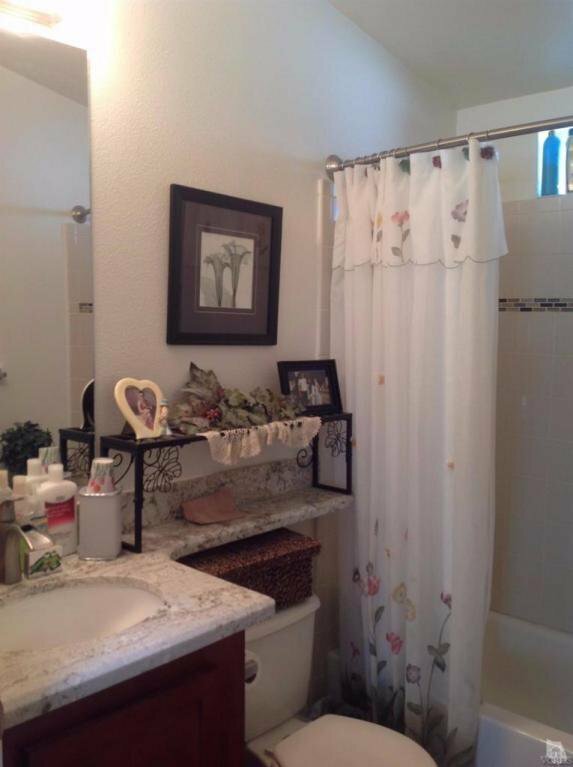 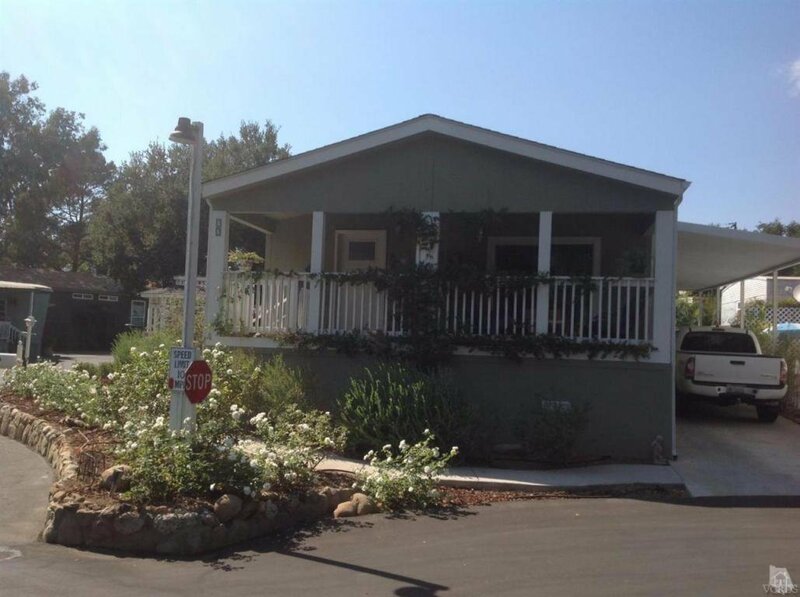 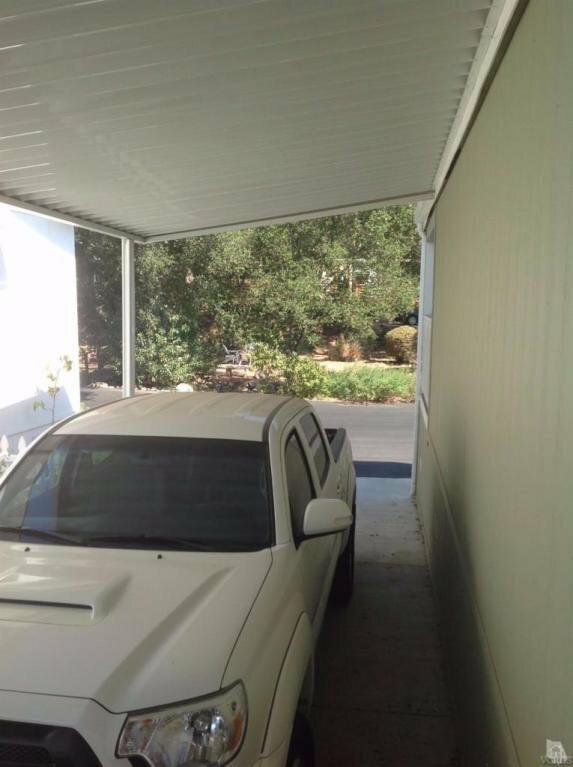 This home updated as built in 2013. lowest space rent in the park, & maybe Ojai. 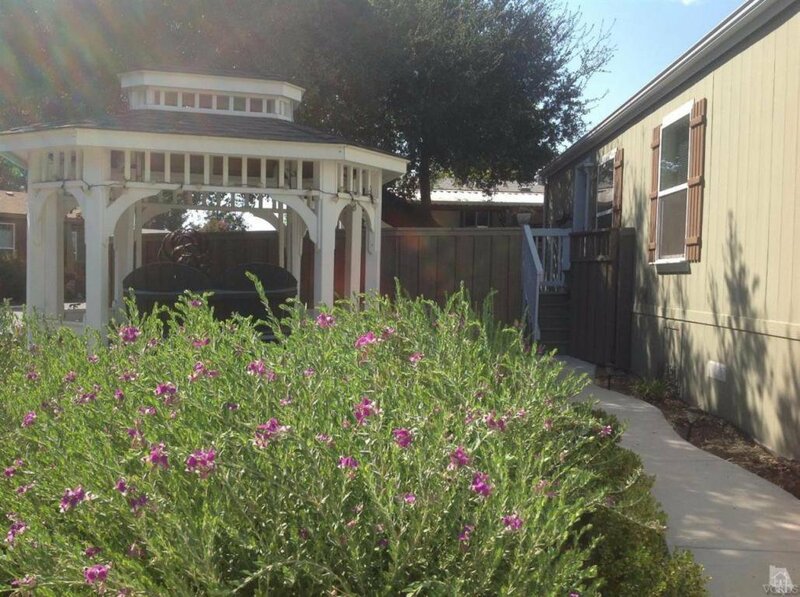 It is centrally located in the rear of the park surrounded by beautiful landscaping including a sitting Gazebo. 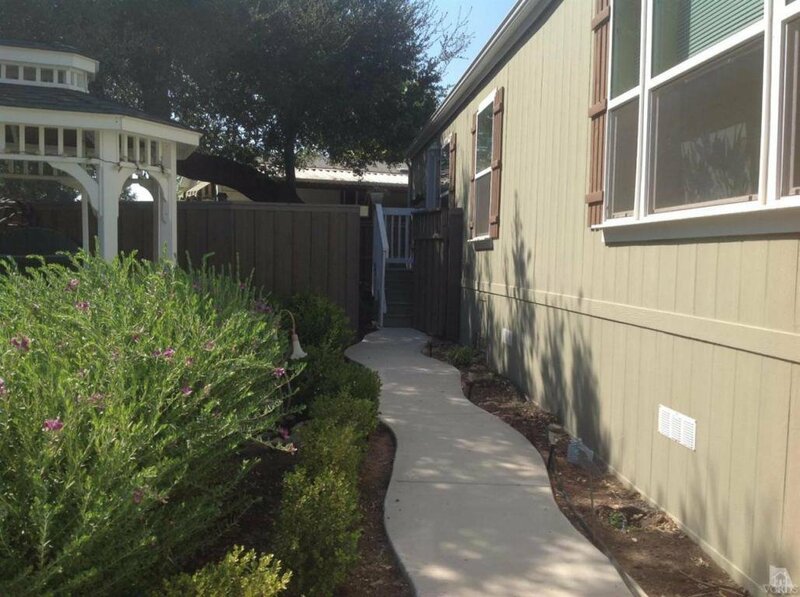 Enter home along path that leads to the gated outdoor covered patio, which is the perfect spot to lounge facing the park like view & barranca. 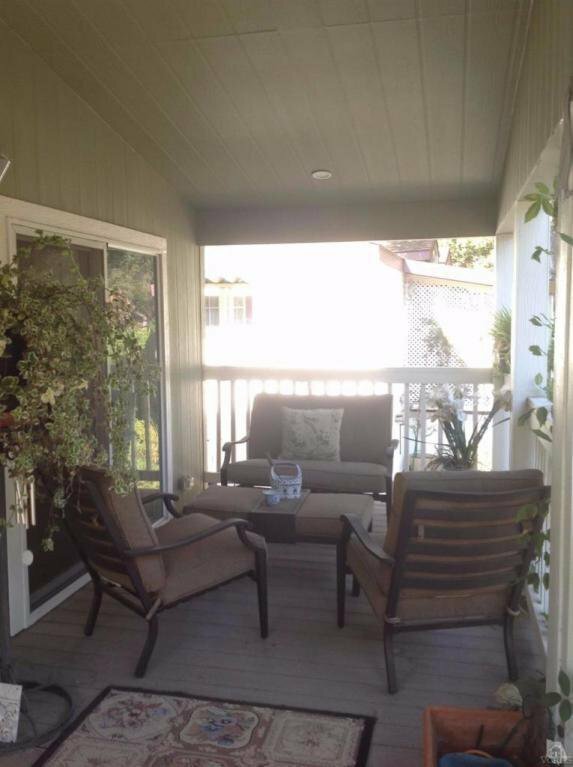 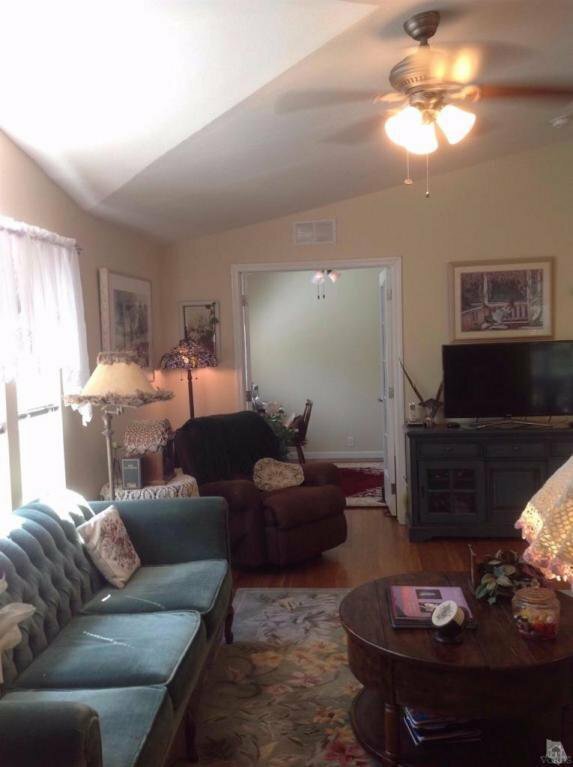 Close proximity to all amenities such as garden, dog -park, swimming pool & recreation center. 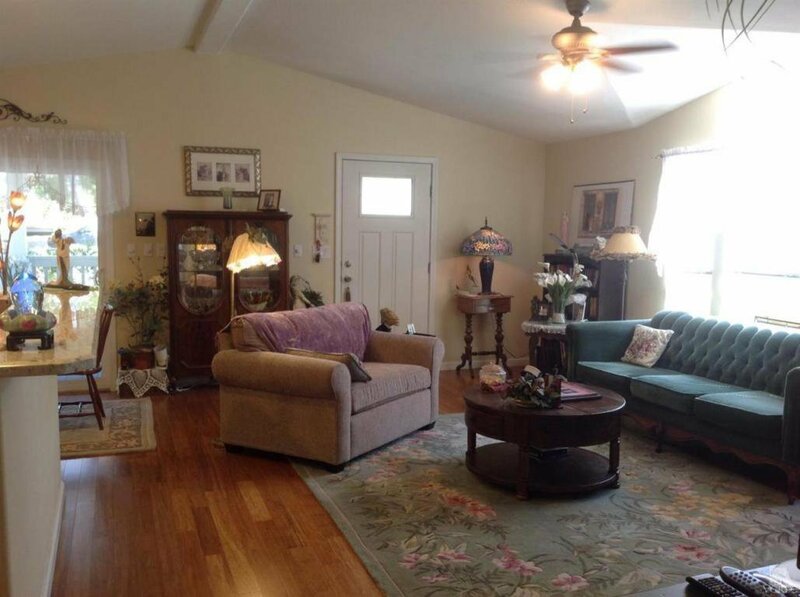 Home is beautifully designed w/ bamboo floors, open floor plan, cathedral ceiling & effective lighting. 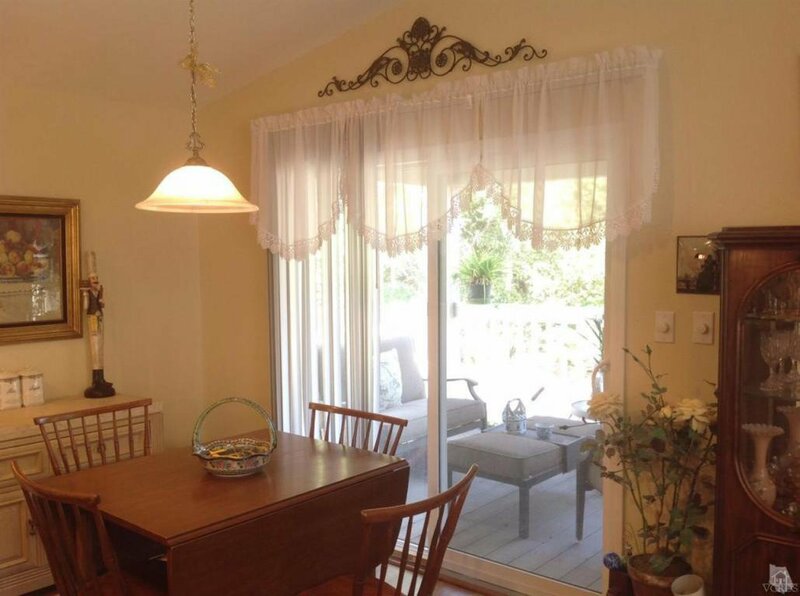 Patio door off dining area leads to front porch. 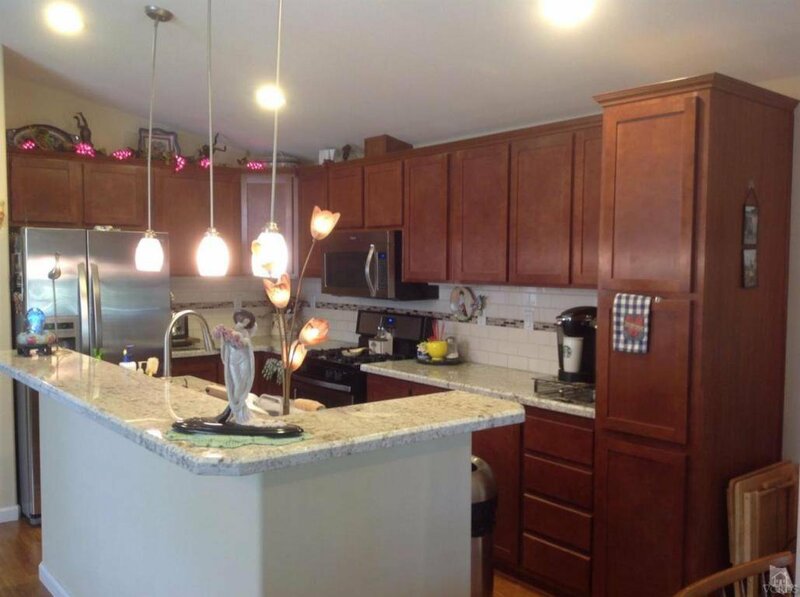 Kitchen accommodates entertaining with the seated bar area, beautifully finished cabinets, farmhouse sink, custom granite, overhead lighting & stainless steel appliances. 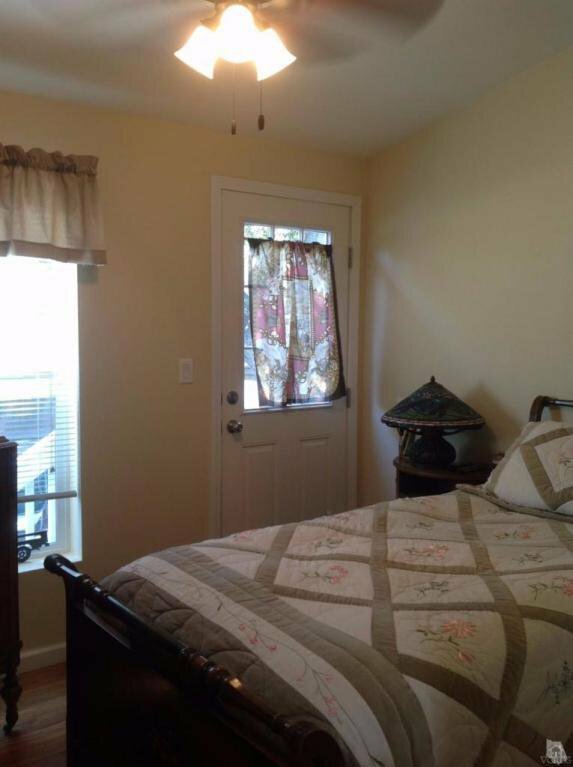 3rd bedroom was customized with French doors to be used as a study/ office. 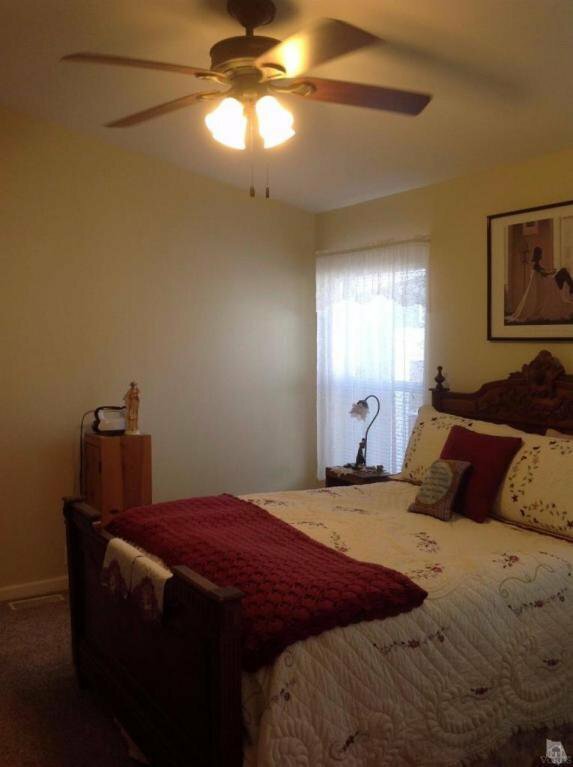 Master bedroom is on suite w/ double custom sinks & vanity seating area, large tiled shower & walk in closet with solar lighting. 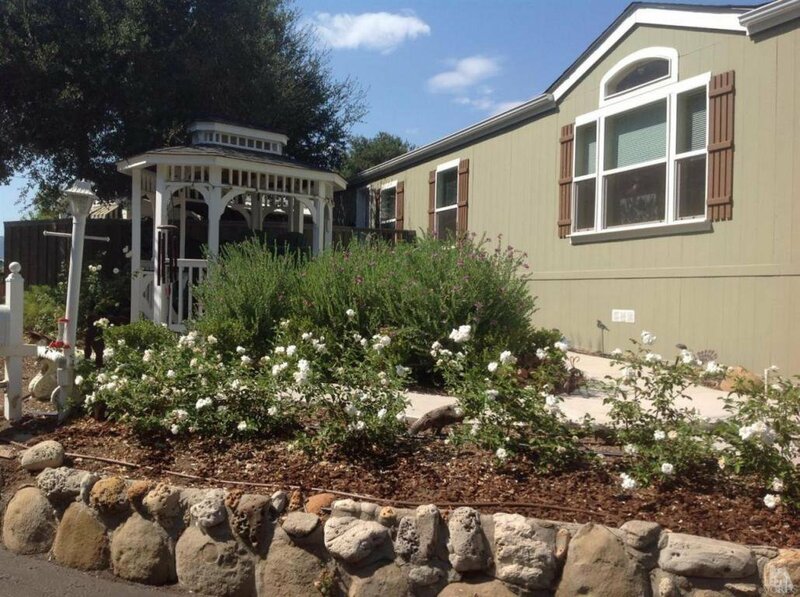 2nd bedroom leads to a private redwood fenced garden, with a beautiful shade tree. 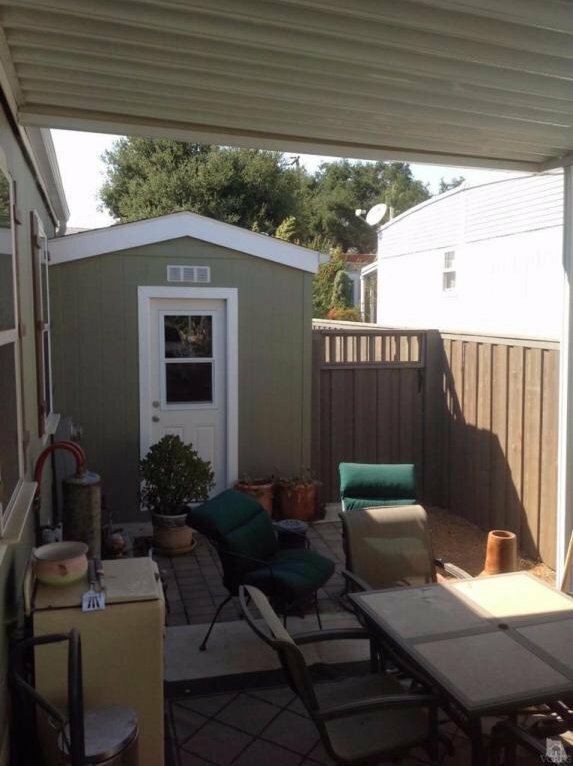 Get creative with lots of room for lounging, growing, or hot tub etc. 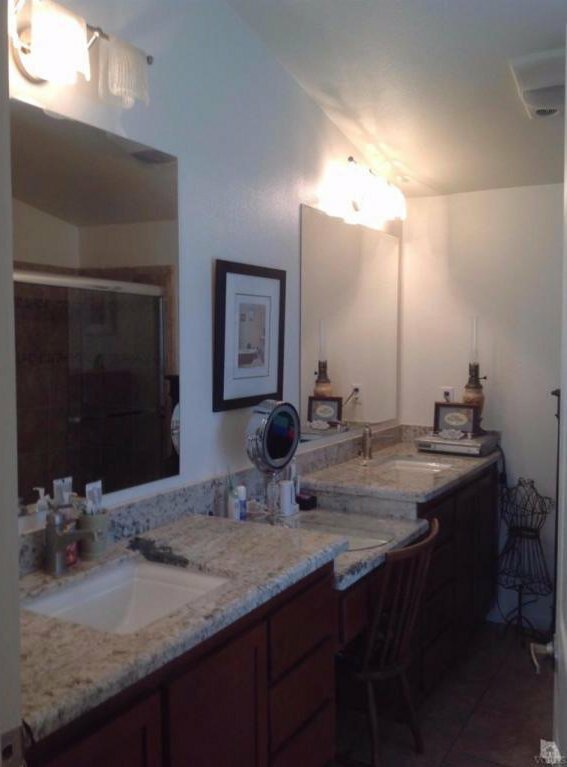 2nd bedroom is also beautifully designed w/ granite counter-tops, tub & shower.